Model 15: metal grill, gloss finish and programmable universal remote. Model 10: cloth grill, matte finish and basic four button remote. So if you don’t care about having a universal remote, save yourself a $100.00 or more and go with the CineMate 10, which by the way, can also be programmed for use with a third party universal remote that many of you may already own. The Cinemate 15 consist of two main parts: a soundbar and bass module. 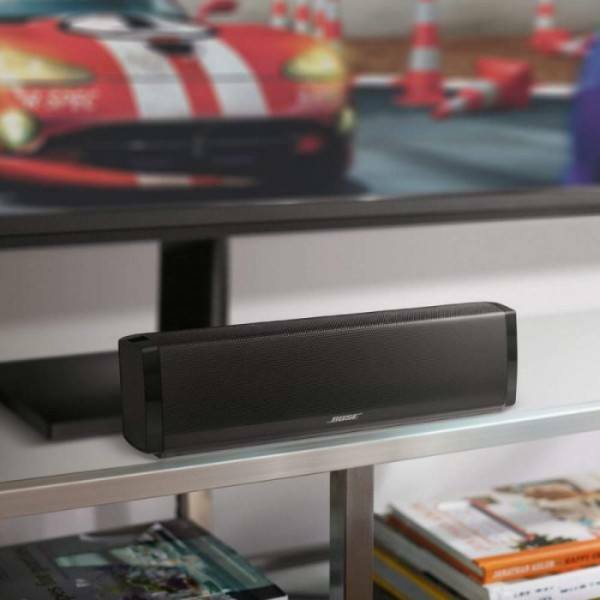 The soundbar is a compact speaker with a very small footprint and contains four drivers that incorporate Bose’s TrueSpace technology which delivers clear and spacious sound that spreads well beyond the boundaries of the speaker. The soundbar measures only 12″ wide and 3-3/8″ deep and is designed for table top use only. No wall mount option is available. The Acoustimass bass module delivers the bass output for the system and is quite large in comparison to the soundbar. And when paired together, they may not necessarily appear to be a good physical or visual match; however, they actually played well with one another when it came down to blending the sound output of both components. The supplied programmable remote control is a universal type that not only controls this soundbar system, but other devices such as your TV, cable/satellite box, Blu-ray/DVD disc players and other components. 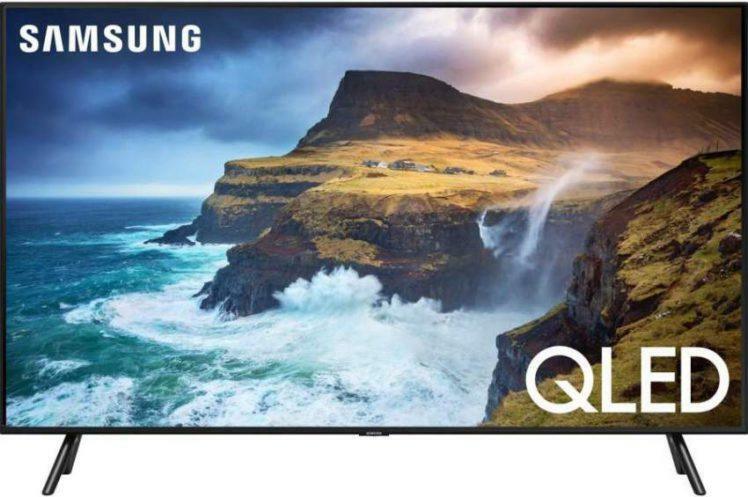 Setting up this system is fast and simple – all connections from your TV or other devices are established on the back of the soundbar. Connections can be made via a digital optical cable (supplied), digital coaxial cable or analog RCA cable (supplied). I recommend the optical or coaxial connection for the best audio quality. The bass module is connected to the soundbar with a 9.75′ proprietary cable that is permanently attached to the soundbar. There is no wireless setup option between the bass module and soundbar, so placement options within your room must be considered carefully for optimal performance. The rear of the bass module has a level/volume control to adjust bass output to assist with blending its sound level with the soundbar, or to set at your desired preference. 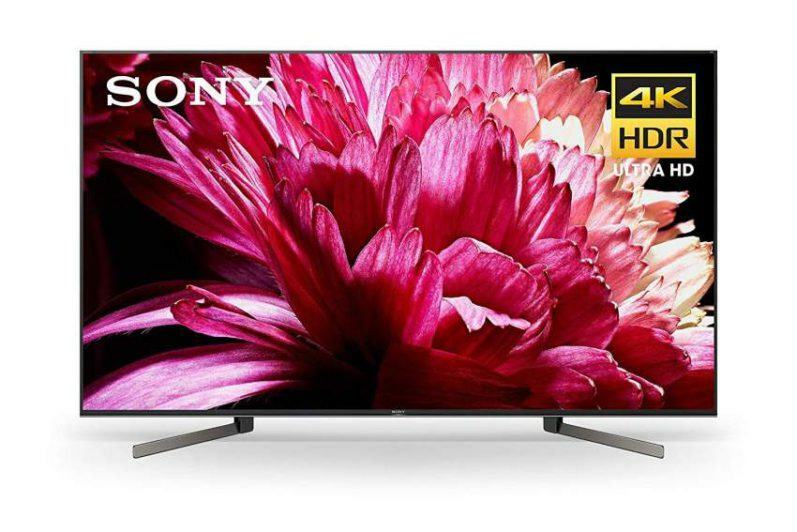 Note: The optical and coaxial digital inputs support 2ch PCM and Dolby Digital audio signals. The CineMate 15 will outperform most built-in TV speakers – and from the start, I was surprised at the full and expansive sound I heard coming from this system. The sound spread well beyond the physical boundaries of the speaker; and when I closed my eyes momentarily, I thought I was listening to a much larger speaker system. With movie soundtracks, the sound of the CineMate 15 delivered detailed and nicely textured sound, and rendered sound effects with an open and spacious audio presentation. In addition, mid and high frequency sound effects were delivered with plenty of audible presence and just the right amount of crispness to make for an enjoyable sound experience. Dialogue sounded clear and natural, and was intelligible at low or high volume levels. Bass output from the subwoofer was very impressive, delivering deep and powerful bass with plenty of impact that could be felt as well as heard. Sound effects such as explosions had a satisfying rumble that added greatly to the overall sound presentation. The Bose 15 did a decent job with music play… the sound was natural and somewhat refined but was lacking a bit in articulate detail. In my opinion, this system is fine for casual music listening. But for individuals who take their music listening more seriously, they should opt for a dedicated two channel rig, with or without a subwoofer. And in all fairness, this system wasn’t designed to produce audiophile grade sound. Overall the Bose CineMate 15 was an admirable performer for such a compact speaker setup; however in my opinion, I consider it to be a bit pricey for a basic compact audio system, which doesn’t contain many features. With that said, it still delivers good sound quality and is able to produce spacious sound in small to medium sized rooms due to its four speaker array layout and proprietary TruSpace technology. 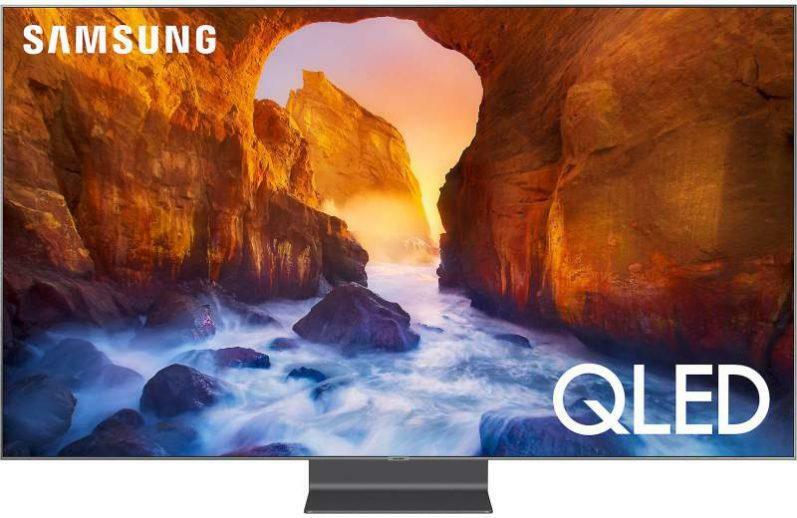 It will also please most individuals looking for a soundbar system with easy setup and a small form factor which doesn’t call much attention to itself within a typical living space. Don’t forget to consider the CineMate 10 as an alternative choice, which in my opinion is a better bargain. 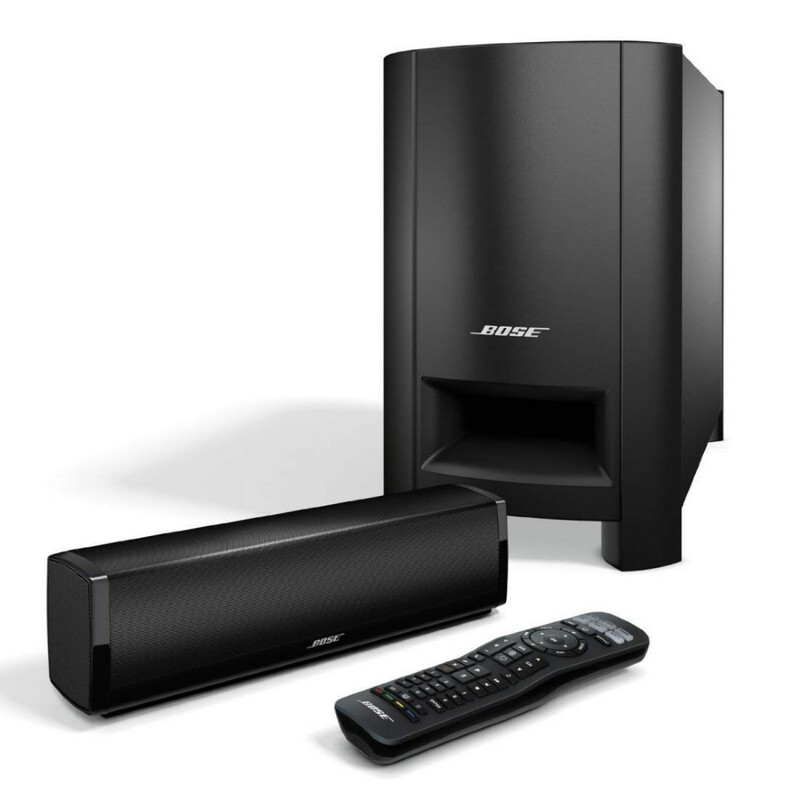 You may also like this review of the Bose CineMate 130 Home Theater System.